CHA is coming up soon and I am just so sure that you will all be blown away by the new releases of Webster's Pages!! I can't share any sneaks yet though - you just have to wait a bit longer before you guys start bugging your LSS to place their orders ASAP!LOL! We do however still have lots of projects to share using the recent collections. For this post, I want to share with you some fun and colorful layouts using "Citrus Squeeze" by Adrienne Looman for Webster's Pages. We just adore her style and her collections really added a new flavor to Webster's Pages. To make the patterns pop-up, I used white paper as a background and added watercolor effects with distress stains and inks. The chipboards are by BlueFern Studios. This layout has a touch of mixed media. The background was textured with glass bead gels and gesso. To add color, I used mists and pan pastels. This last one is actually a hybrid page. I did not have the physical papers yet so I downloaded the digital files and printed some elements on glossy photo paper. It gave me bright and vibrant prints on a glossy and thick material - perfect for cutting and layering! Have a great and crafty day everyone! Hugs! One of my most favorite product for scrapbooking/ mixed media projects is laser cut chipboard, to be more specific... Blue Fern Studios Laser Cut Chipboards! Why you ask me? 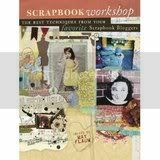 It's because they come up with a wide wide wide range of designs to choose from which can easily fit any scrapbooking style. 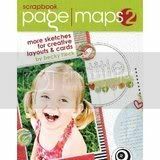 It just goes well with any scrapping style! I just love it all! It certainly adds that finishing touch to any page. Hope you all have a crafty week ahead of you! To see detail shots and to check out the actual chipboard pieces used in the projects above, please click on this link which will lead you to the Blue Fern Studios Site.